“A must-see play…the best interpretation of the heartily harrowing role I’ve ever witnessed. 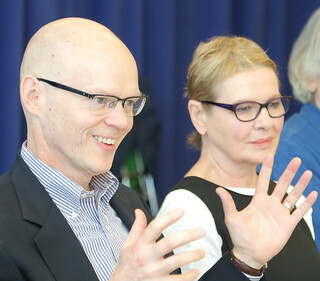 “Dianne Wiest handles the role with awe-inspiring artistry…Wiest is mesmerizing in Beckett’s funny and deeply moving work about bravery, endurance and the cruel futility of human existence. 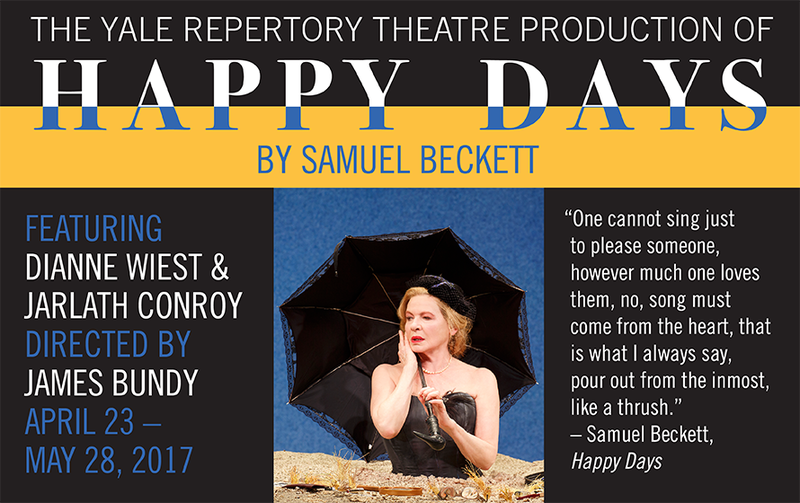 Academy Award winner Dianne Wiest (Hannah and Her Sisters, Bullets Over Broadway) plays Winnie in Samuel Beckett‘s masterpiece Happy Days. Buried up to her waist and sinking into the earth, Winnie is considered modern drama’s pinnacle female role, an endlessly fascinating spirit of buoyant resourcefulness and unassuming grace in the face of inevitable oblivion. By turns hilarious and heartbreaking, compassionate and ferocious, this extraordinary Happy Days, which also features Jarlath Conroy as Willie, originated at Yale Repertory Theatre and is staged by James Bundy, its artistic director. Dianne Wiest is one of this country’s great artists, with a dedication to both stage and screen spanning four decades. No other American actor has sustained a distinguished theater career, continually performing the world’s greatest playwrights, staged by some of theater’s greatest directors, on Broadway, Off-Broadway, and in regional theaters, while simultaneously achieving a celebrated television and film career. Ms. Wiest has received Obie and Clarence Derwent Awards and nominations for Drama Desk, Drama League and Lucille Lortel nominations. In film, her honors include two Academy Awards and a Golden Globe; for her work in television, she has been awarded two Emmys.